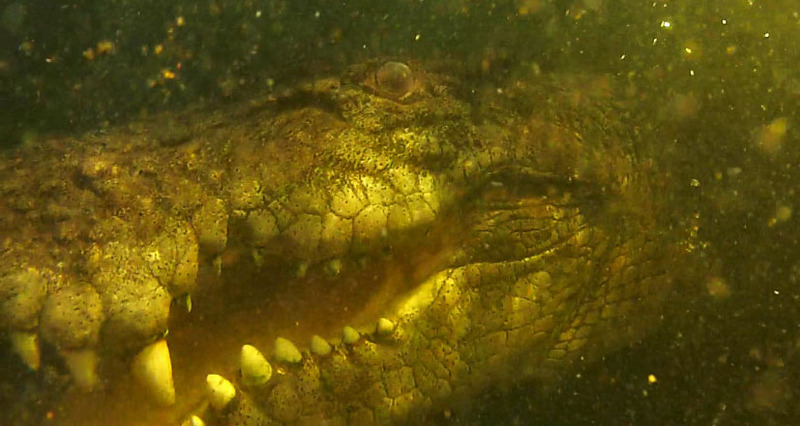 CrocBITE is a learning and research tool based around a database of recorded attacks by crocodilians on humans worldwide. By "crocodilians" we mean any species of crocodile, alligator, caiman or gharial. It is also an archive for attack data that might otherwise be lost. The ultimate goal of CrocBITE is to improve human safety and assist conservation of crocodilians by improving our understanding of risk factors and trends over time for different species in different countries. New attack data are being continually added to the database as they occur, and historical attacks (ie. before the present year) are being added over time. Our objective in making this information freely available online is not to demonize crocodiles or over-emphasize the danger that they pose, but rather to put the risk of being attacked into perspective, to better understand why people are attacked by crocodiles and to ultimately reduce human-crocodile conflict. Crocodiles are wild animals, they are neither malicious nor evil, yet they are capable and powerful predators that occasionally attack humans. Conservation of crocodiles goes hand-in-hand with an understanding of and indeed respect for crocodiles, and attacks by crocodiles on humans are obviously counterproductive to these goals. Improved safety is a realistic and achievable goal, and this website hopes to contribute towards that. 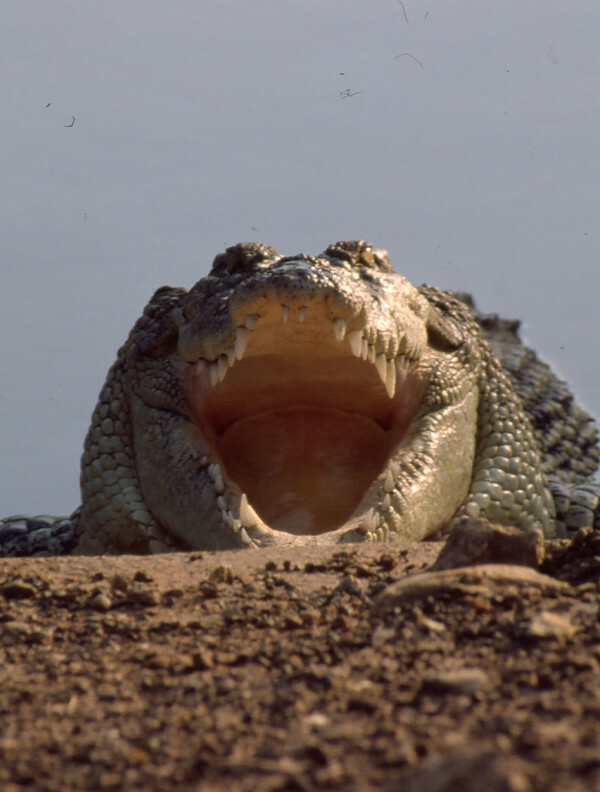 CrocBITE does not pretend to be 100% complete, such a goal would be impossible because quite a few crocodile attacks go unreported every year for a variety of reasons. People may be attacked without any witnesses or evidence, attacks may be known locally but never reported or recorded, records may be difficult to obtain, historical reports may have become unavailable, some regions or countries may choose to hide or suppress records of crocodile attack for political or social reasons, or may simply lack the resources or motivation to record such data in the first place. It is difficult to gauge the proportion of attacks that go unrecorded each year, although it's reasonable to assume that most attacks are recorded in some way. Considerable credit must go to the dozens of contributors who have helped to fill in blanks, verify records and provide hard-to-find data. While every effort has been made to verify each record added to the database, errors made during recording or reporting closer to source are difficult to judge. For example, attack survivors tend to exaggerate the size of the crocodile involved, which is why relatively few (less than 15%) of our records contain the size of the crocodile. We have tried to address this uncertainty by ranking the quality of key variables in each record, based on strict criteria which are detailed under each incident. It is also useful to consider loss of data as we go further back in time. Today's reporting of crocodile attack incidents is considerably better than even a few years ago, although there is still an emphasis towards attacks on certain groups of people. It is an unavoidable fact that a European tourist attacked by a Nile crocodile is much more likely to make the news than if the victim were African, and tracking down information on the latter requires considerably more detective work. It is also clear that crocodile attack records are rarely kept for more than a few years, after which they could be lost forever. Reports that we logged even last year have in some cases already disappeared from media archives. This makes continual logging of data and archiving of such data by CrocBITE all the more important to build a picture of trends and patterns over time. It also means that the further back in time we go, the more data that are likely to be missing, although there are exceptions due to efficient reporting and recording practices in certain countries (eg. USA, Australia). At present we have also chosen to exclude any attacks by captive or wild crocodilians on staff or officials while working with them, otherwise we would have to consider the many hundreds if not thousands of bites both minor and serious that have been received due to carelessness, improper handling or inadequate safety procedures. Despite all these caveats, the database contains valuable information necessary to better understand patterns, trends and scenarios that will improve our understanding of human-crocodile conflict. How can I search the database? There are two ways of searching the database. The first is a Simple Search which gives you a straightforward means of quickly searching for incident reports for a particular species in a particular year, the results being displayed in a table. Each incident can then be examined further, showing all the reported details, a short written summary of the incident, an interactive map, a measure of record quality, and some information about the species involved. The Simple Search is very basic but suited for browsing the database. The second method is an Advanced Search, providing a more complete set of search parameters, and displaying the results in either table form or through an interactive map. Again, once each incident is selected either from the table or the interactive map, an incident page will be displayed showing all the relevant details. You will also find a page of summary statistics, presentations of data from the entire database. Some of these will be updated automatically, others manually and periodically. In the future we hope to implement interactive figures, so that you can create a subset of results and have CrocBITE create the appropriate figure to visualise it. In the meantime you are welcome to suggest other ways in which the data could be presented in a useful manner. We intend to make freely-distributable segments of the database available for specialists who wish to conduct further research, but at the moment this functionality is not available. Contributors who do not wish to have their raw data included in this will have their wishes respected. To become a contributor you must create an account and fill in the appropriate information for consideration. What can I do if I find an error? CrocBITE is an evolving project, and as mentioned above we cannot assume that all entries are necessarily completely accurate. If you find an error or if you have further verifiable information about a listed incident, please contact us and we will be pleased to update the record. The current version is a proof-of-concept to develop the main systems and database structure. From this point, there are a number of future goals once we have secured additional funding for web development work. In addition to adding new data, expand historical data and fill in country-specific blanks. Write additional case studies summarising trends and patterns. Expand upon educational information including crocodile safety. Improve the speed of the database. Improve the database interface to allow more refinement and control. Develop visualisation tools so that search results can be displayed in user-defined ways. Log-in interface allowing different levels of database access. User export of subsets of data.